Everyone Needs Sunglasses in Copperas Cove! It doesn’t matter if you normally wear eyeglasses or not – sunglasses are essential for long-lasting, quality eye health and vision. When it comes to protecting your eyes and enhancing your outdoor vision, nonprescription sunglasses are just as important as prescription sunglasses. If you value your eyesight, you need to keep your eyes safe from the sun’s damaging ultraviolet rays. Sure, plenty of cheap nonprescription sunglasses are available on the drugstore racks, yet purchasing this eyewear can be hazardous to your eye health. Optimal sunglasses block 100% of UV light. Many inferior quality sunglasses do not do this. Keep in mind that the color of the lenses bears no relation to the level of protection. Don’t be fooled into thinking that the darker the lenses, the more protective they are. 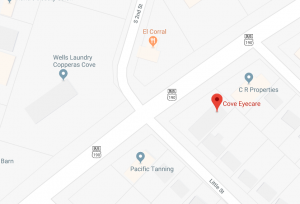 When you buy your high quality, designer sunglasses in Copperas Cove from Cove Eye Care, you can trust that they will keep your eyes safe. In addition to blocking dangerous light rays, sunglasses filter the amount of bright sunlight that interferes with your vision. Your sunglasses lenses must match your lifestyle and interests, functioning well under all outdoor conditions. We will match your designer sunglasses with the ideal type of glare protection and lens tints that you need. If you are an avid golfer, you’ll need different lenses than someone who spends a lot time on or near water. People who regularly drive long distances will require glare-protection that does not distort the car’s instrument panel. We’ll encourage you to share details about your hobbies and activities with us so we can determine the perfect pair of designer sunglasses to satisfy your visual requirements. Come to Look at Our Sunglasses in Copperas Cove! We invite you to browse through our display of premium sunglasses. No matter what shape or style you choose, rest assured that it is constructed from durable materials and made to last. The lenses will give crisp vision while keeping your eyes safe from hazardous UVA and UVB sun rays. Designer sunglasses are a trendy fashion accessory. We stock a wide array of contemporary frames to put the finishing touch on any style outfit! 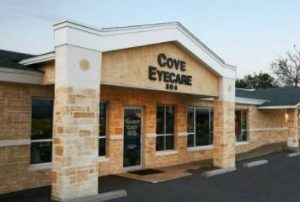 Come to check out our sunglasses in Copperas Cove to find fun and fashionable frames for your whole family.